Having a bird’s-eye view of one of the largest loan defaults in sports history is as dramatic as World Series baseball. How can a franchise worth hundreds of millions of dollars collapse before the eyes of adoring fans and a championship-caliber team? From 2009—2010, the Texas Rangers defaulted on more than $500M in loans, ultimately filing for bankruptcy the same year they competed in the World Series. Kellie Fischer recounts her experience of what led to the financial downfall, how to juggle multiple constituents during a tumultuous time, and why a resilient and flexible team can deliver a grand slam. 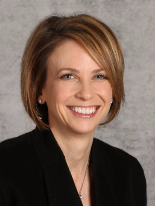 KELLIE FISCHER is the Executive Vice President and Chief Financial Officer of the Texas Rangers Baseball Club. 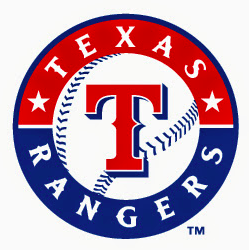 Kellie Fischer was appointed Chief Financial Officer of the Texas Rangers in March of 2005. She oversees all financial matters and purchasing for the Texas Rangers and serves on the Board of Directors for the Texas Rangers Baseball Foundation. Kellie joined the Rangers in 1999 and has served in many roles for the Rangers former parent company, Southwest Sports Group, and the Dallas Stars. Prior to joining the Rangers, Kellie spent four years at PricewaterhouseCoopers LLP in the audit division of the Dallas office. She earned her B.A. in accounting from Baylor University in 1995 and is a Texas CPA. Kellie is a member of The Dallas Assembly, International Women’s Forum, CSI Advisory Board, and is an alumna of Leadership Dallas. Kellie’s commitment to the community extends beyond the doors of the Texas Rangers. She serves on the Finance Committee of the Susan G. Komen Race for the Cure and the Arlington Chamber of Commerce. Kellie also serves on the Board of Directors for the North Texas Commission and the Arlington Chamber of Commerce Foundation. She was named the 2010 Chief Financial Officer of the Year for private mid-size companies by the Dallas Business Journal, the 2012 Chief Financial Officer Game Changer of the Year by the Fort Worth Business Press, the recipient of the 2013 Herbert H. Reynolds Outstanding Young Alumni Award of the Baylor University Alumni Association, and one of the Dallas 500 Business Leaders by D Magazine in 2015.